What is the pledge to the Virginia state flag? When was the Virginia state flag adopted? What is the proper way to fly my Virginia flag with my American flag? What is the meaning of the emblem on the Virginia state flag? Where can I buy a Virginia state flag? 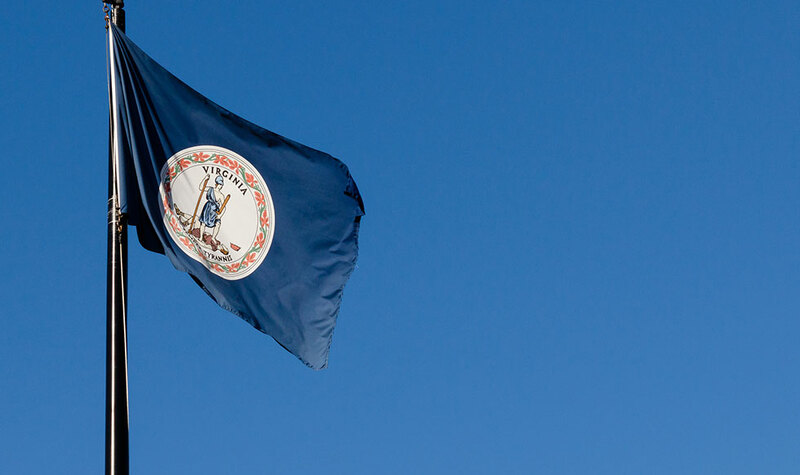 The Virginia state flag pledge is, “I salute the flag of Virginia, with reverence and patriotic devotion to the Mother of States and statesmen, which it represents – the Old Dominion, where liberty and independence were born”. The official salute to the flag of Virginia was adopted in 1954. The Virginia state flag was 1st adopted on April 30, 1861, and then standardized by the General Assembly in February 1950. 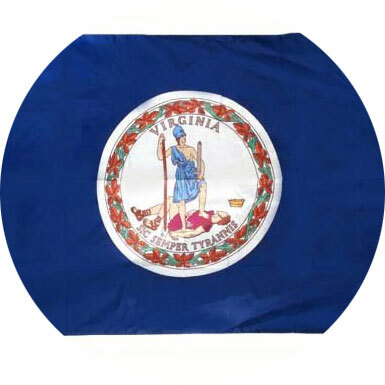 The Seal of Virginia is centered on the flag and was adopted in 1776 and modified in 1930. Four men were appointed to design a proper Seal for the Commonwealth of Virginia. 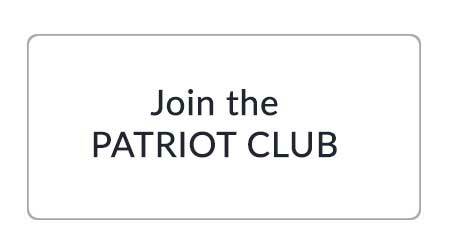 The four men were George Mason, George Wythe, Richard Henry Lee and Robert Carter Nicholas. George Wythe, a signer of the Declaration of Independence, was believed to be the chief designer. 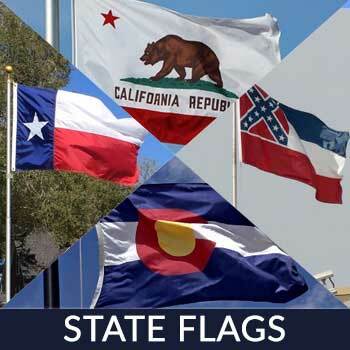 When flying the Virginia flag with the flag of the United States on the same pole, the flag of United States must always be at the top and the Virginia flag should be the same size or smaller. 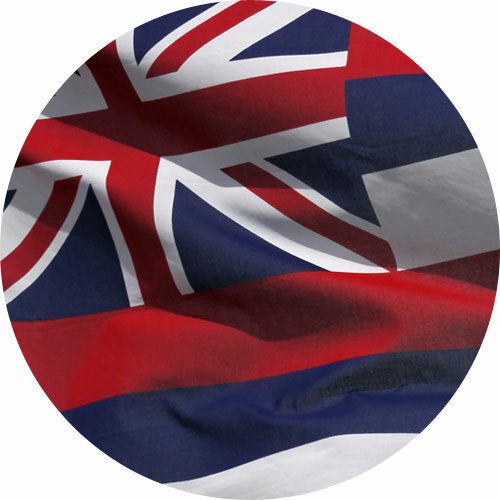 When It is flown on separate poles, the Virginia flag will be to the right of the flag of the United States situating the U.S. flag in the position of honor, which is to the observer’s left of the other flags. 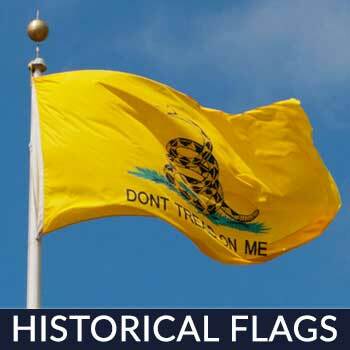 A bit of important trivia here for those of you interested in flying your Virginia flag with your American flag….remember, one of those stripes you see on your American flag, stands for Virginia, as it was one of the original 13 states! The emblem on the Virginia state flag is the Seal for the Commonwealth of Virginia. Within the Seal is a female warrior, Virtus, the Roman goddess of virtue, who symbolizes the state of Virginia. She holds a spear in her right hand pointing downward touching the earth, and her left hand holds a sheathed spear pointing upward. She wears a helmet, her head is erect, and her face upturned. The female figure represents character, worth, courage, bravery, and military strength of the citizens of the Commonwealth of Virginia. Her left foot rests on the prostrate body of a king who represents tyranny and implies that his power has been vanquished. His fallen crown is nearby representing the end of the sovereignty of Great Britain; he holds a broken chain which represents freedom in his left hand, and the whip in his right hand represents Virginia’s deliverance from British acts of chastisement. Above the head of Virtus, is the word “Virginia”, and below the prostrate man is the motto “Sic Semper Tyrannis”(“Thus Always to Tyrants”), which underlines the strong, relentless message of the early patriots of Virginia. The ornamental border of the Seal is a wreath of Virginia Creeper. The blue field of the flag represents vigilance, truth, loyalty, perseverance and justice. The color white is a symbol for peace and honesty. 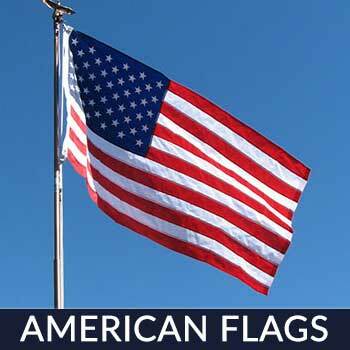 A great place to purchase a Virginia state flag that is fully made in the USA is Star Spangled Flags. 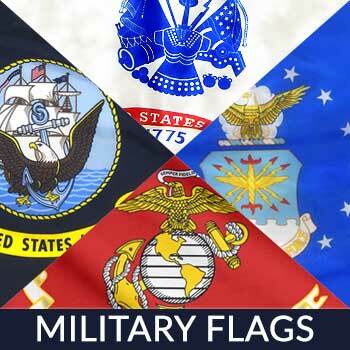 Their flags are 100% made in the USA! They are super strong and are treated so they really last out in the bright sunshine. 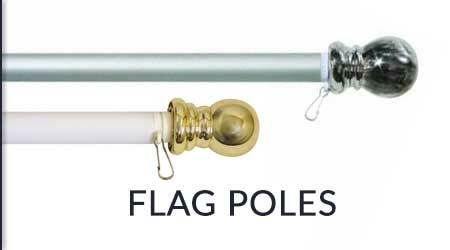 They provide free shipping and come with a customer satisfaction guarantee. 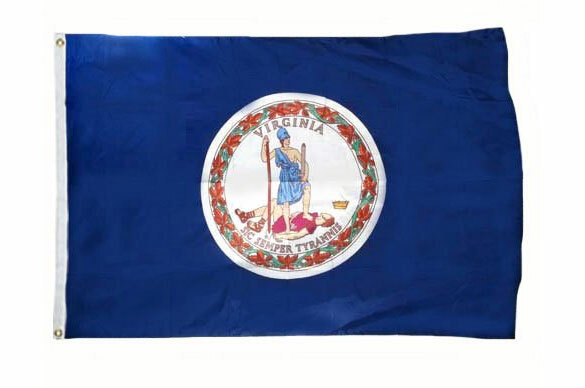 Looking at the State Flag of Virginia is like looking into the past when the United States was at it infancy. 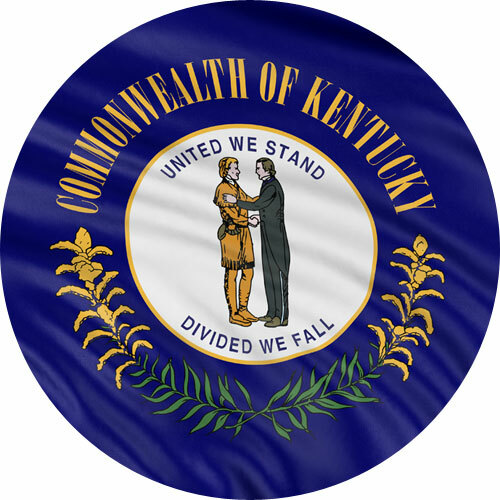 It was first used at the start of the American Civil War back in 1861 and standardized during the General Assembly in February 1950. 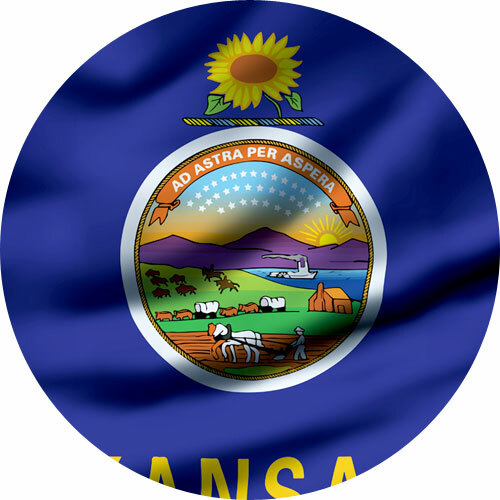 It consists of the obverse of the seal against a blue background. One side shows a female figure personifying the Roman virtue of Virtus to represent the genius of the new Commonwealth. It shows a figure of peace standing in a pose, which shows a battle already won. She is shown resting on her long spear and a parazonium, which is sheathed signifying authority, not combat. Virtus is shown with a bare left breast and Tyranny lies beneath her foot symbolizing Great Britain’s defeat by Virginia. The reverse of the seal shows the blessings of freedom and peace and represented by three Roman goddesses. Virginia entered the Union on June 25, 1788 as the 10th state and the state was named in honor of Elizabeth “Virgin Queen” of England with the motto “Sic Semper tyrannies” (Thus always to tyrants). 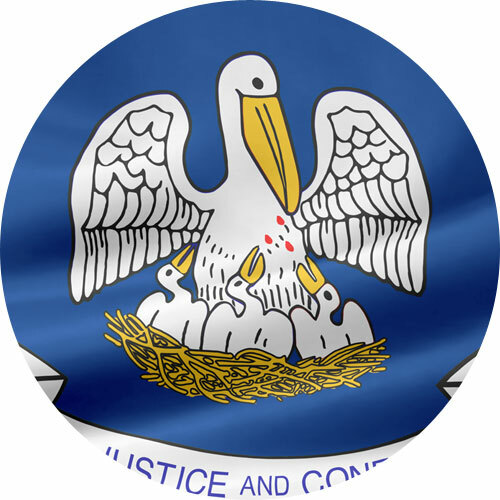 The state’s flower and tree is the Dogwood, Cardinal as state bird, American Foxhound being the state dog, Brook Trout as state fish, with Oyster as state shell and they have 2 national forests, 16 state forests, and 44 state parks.